How to Save Your Dying Succulent Plants in 3 Days? Are you a lady with a love for green? Well, then plants must be your thing and if that includes the lovely succulent plants then you have a great taste. Their unusual appearance and striking features surely steal your heart in one glance. These amazing and unique plants might not need much water but they need your love, all right. So keep reading if you too are facing the same question of How to Save Your Dying Succulent Plants in 3 Days? 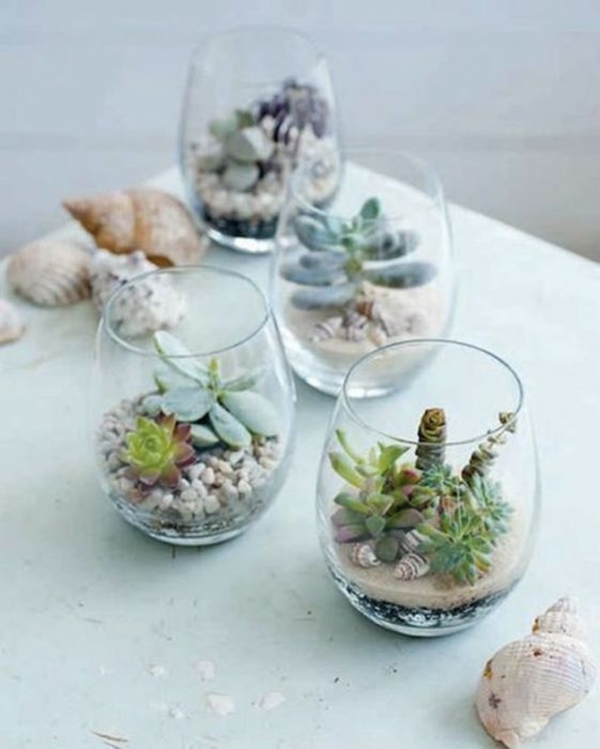 Many people are often mistaken and think that these succulents don’t need much water and can survive on their own. Well, no matter how different these plants are with their water storing ability, they still need to be taken care of. 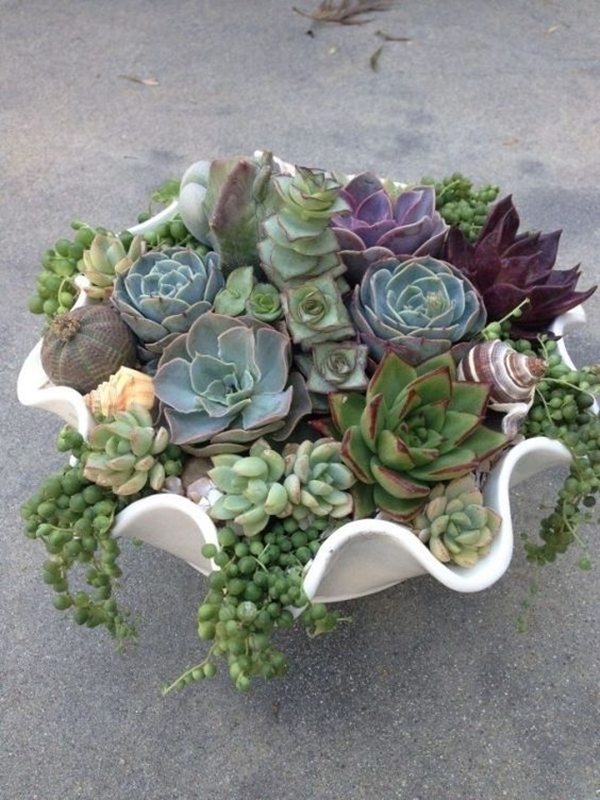 Believe it or not but often those succulents die because either they have got more than enough water or under-watered. 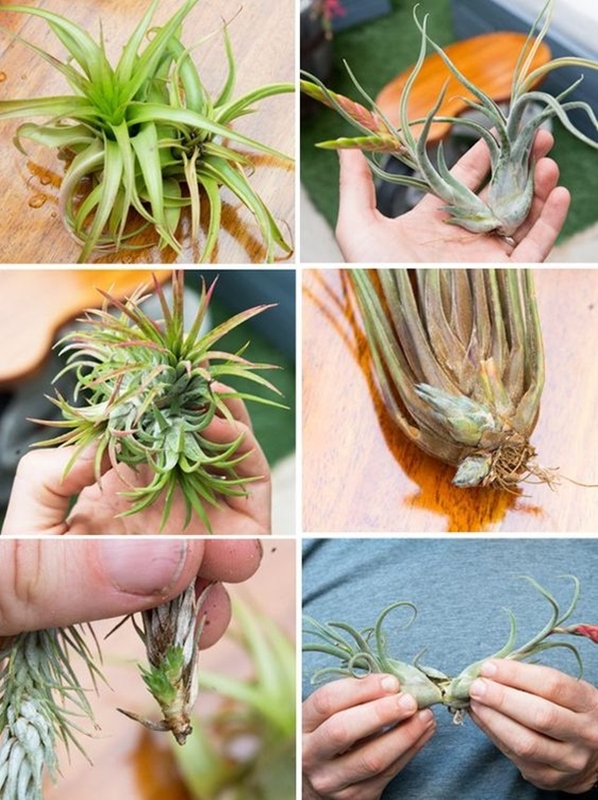 So relax and follow these simple tips on How to Save Your Dying Succulent Plants in 3 Days. Your succulent is not really dying if its leaves have started drying and then dying. You don’t declare a tree dead when it starts shedding its leaves, do you? Similarly, the dying leaf is a natural phenomenon that occurs with every type of plants including the succulents. So it’s not necessary that just because the leaves of your succulent are dying then your plant is dying as well. Just pull out the dead leaves that come off easily and that’s all you can do. Sometimes the succulent plants look healthy and in good condition but then they suddenly die. Well, there can be many reasons behind it and not enough roots might be one of them. Every plant, succulent or not needs nutrition and water that it absorbs from the soil through its roots. So, if there aren’t enough roots and the plant isn’t rooted well then it will die eventually. So if it looks like the succulent plant is not in a great condition then check for its roots. Just because the succulents can store water, it doesn’t mean that they don’t much water. And neither does it means that over-water won’t affect it. Both the situations can only lead to one scenario and that is your succulent dying. So if the succulent shrivels, puckers or change colour then you have to keep an eye on the watering. Lack of water will result in no flowers and brown colouring while over-watered succulent will break apart easily. Excess of harmful minerals can kill any plant and succulents are no exception to this rule. These stubborn succulents might survive the heat of dessert but they can’t come out alive after absorbing harmful minerals from water. The tap water is treated before it reaches your home so the chemicals used for that purpose might end up killing your succulents. So use the distilled water for the succulents or filtered water that’s free of salts and minerals. Light is the source of energy for these plants even if they can survive heat and dessert and can store their own water. Light is important so it might another reason for your succulent to be dying. 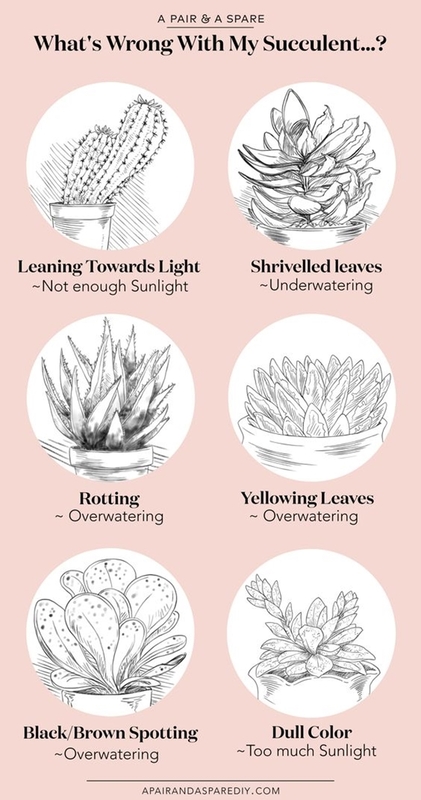 Light helps them to flourish so if you start seeing changes in your succulents like paleness, fading of colours, or too thin and stretched out then the succulent isn’t getting enough of the light. So move your plant to another place with an abundance of light. 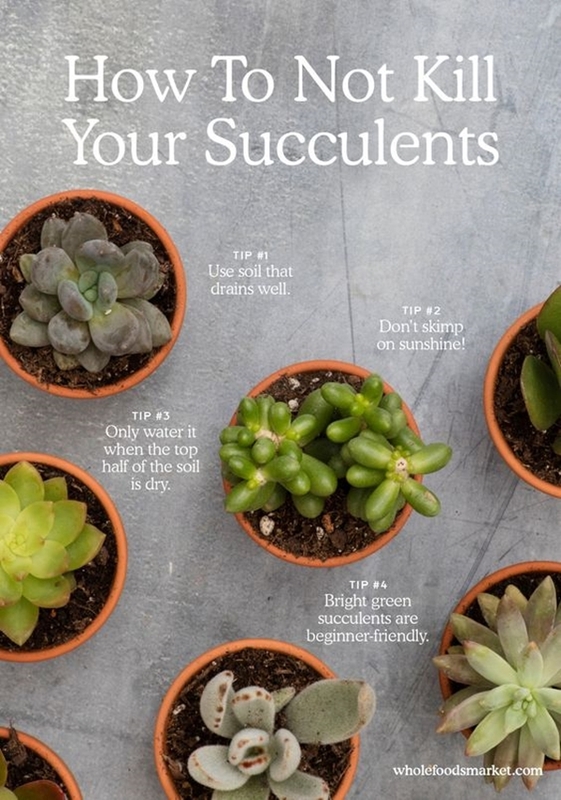 Also, not all the succulents can bear direct sunlight. So you make sure to have an eye on that as well. No, I’m not talking about your home. I’m talking about your succulent pots that need a great drainage system. Succulents thrive in the soil that drains well. Excess of water will lead to rotting of your succulent plant and that’s why it’s necessary to use the container with built-in drainage for a better condition of succulent. The succulents are not the plants that need heavy doses of fertilizers. They survive and flourish even in the less fertile soil and manage just fine without the excess of minerals. So if you are planning to pick fertilizers for your succulents then think again. Because the extra doses of fertilizers will result in the death of your succulent. They don’t need much of them and a little amount will suffice. And make sure you spray them with water-soluble fertilizers that are higher in phosphorous than nitrogen. Light is enough and watering is adequate but still the succulents are dying? Then there must be those nasty pests and insects that had set their humble abode in your succulent plant. While the succulents are not much prone to pest attacks but they might get their share of mealy bugs, mites, scales and gnats. Now the mealy bugs can be easily dealt with using cotton balls dipped into alcohol. And about other insects, well, you can use the pesticide to get rid of them. 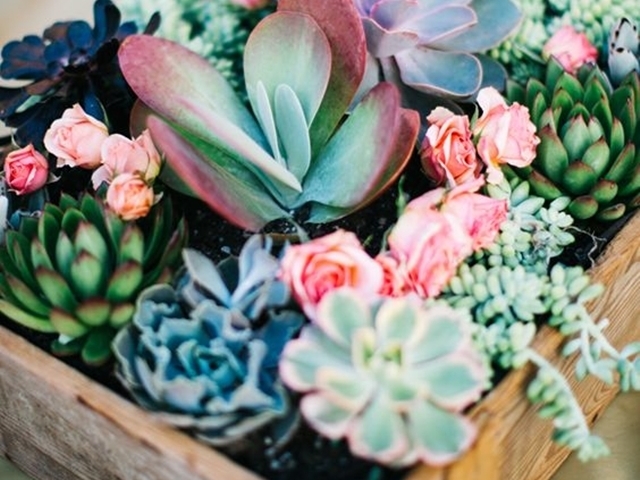 Little things do matter and these succulents are the best example of it. Keep these few things in your mind and your succulent will grow and flourish in no time.